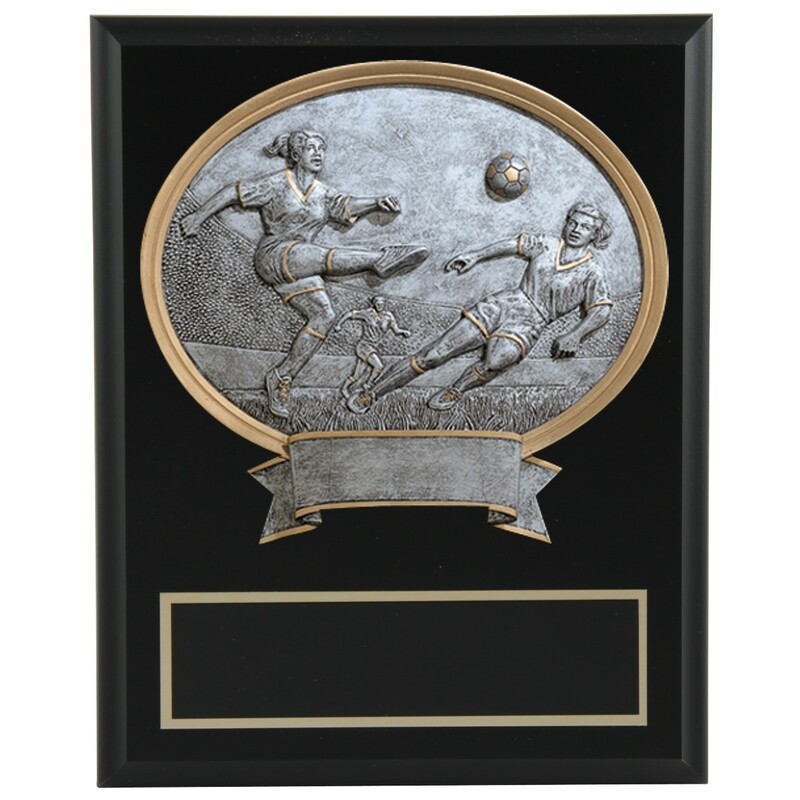 The Large Resin and Wood Soccer Plaque features an 8"x10" black cove edge plaque with a 6-1/2"x6" resin mount. 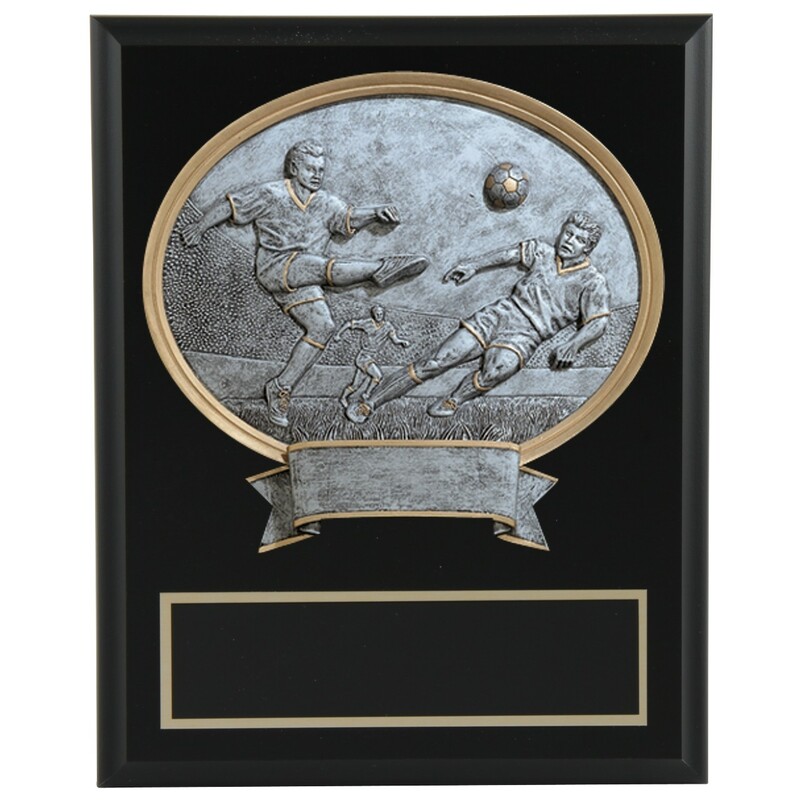 Molded to resemble antique silver with gold highlights and depicting soccer players in action, these impressive plaques make a great coach gift or MVP award. Your choice of male or female figure. 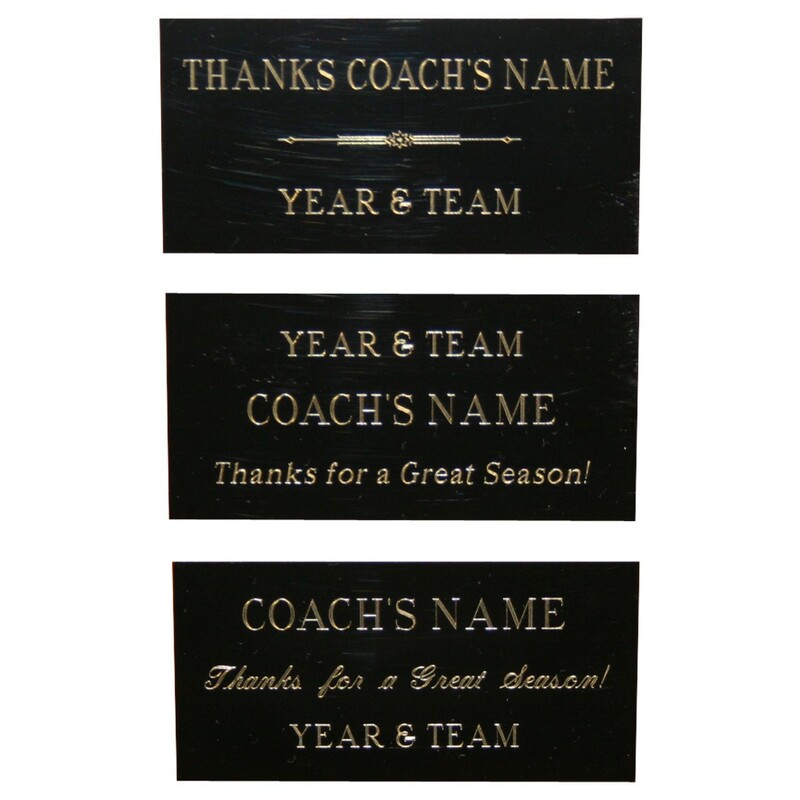 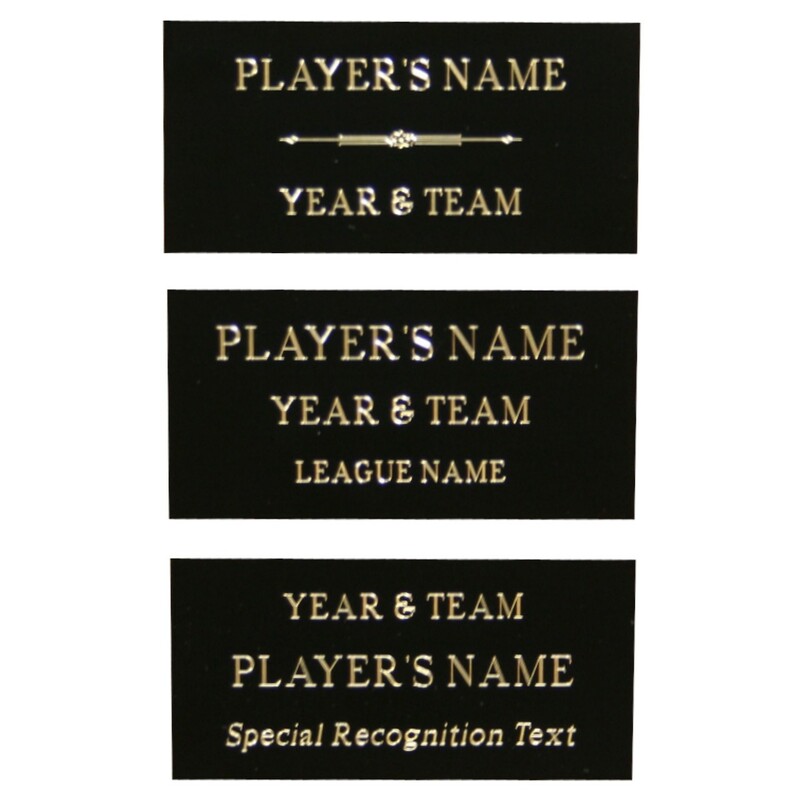 Price includes up to 4 lines of engraving on a black brass plate.